French President Emmanuel Macron told his US counterpart Donald Trump that G7 leaders will further discuss Syria, Iran and North Korea. The comment came after the two leaders met on the sidelines of the G7 summit which has kicked off in Charlevoix, Canada. In addition, President Trump also held talks with Canadian Prime Minister Justin Trudeau. President Putin's June 8 visit to Beijing saw the signing of multiple agreements on oil and gas development, nuclear power, space, finance, as well as promises to deepen strategic cooperation and coordination in the face of "a complex international situation." Speaking to Sputnik, Chinese and Russian observers outlined the scope of the agreements. President Donald Trump's pick for the new US ambassador to Poland, Georgette Mosbacher, will be approved by Warsaw despite Mrs. Mosbacher “concerns about respect for democratic institutions in Poland.” Former Sejm deputy Andrzej Rozenek told Sputnik that the future ambassador's stance could complicate relations between the countries. Facebook has stated that a bug has made the private messages of at least 14 million users public. According to Facebook, the glitch affected posts made between May 18th and May 22nd, when the company was testing out a new feature. Sputnik discussed this with Paul Levy, author of the book Digital Inferno. 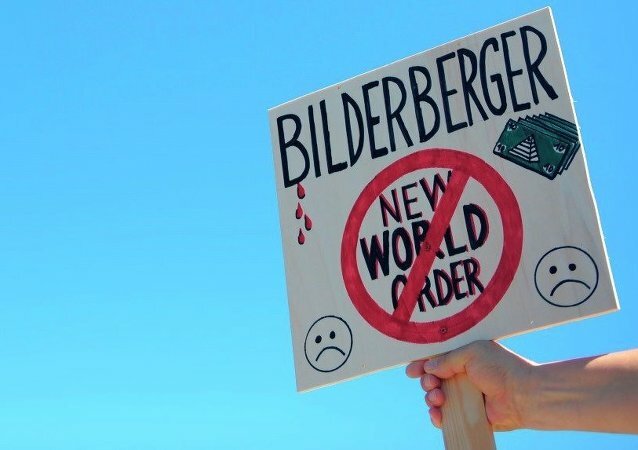 The Bilderberg Group is holding another of its secrecy-laden meetings. Some see the gathering as a chance for the global elite to hobnob and work out a common policy. Others claim it's a shadow world government. Daniele Scalea, an analyst from the Machiavelli Center for Political and Strategic Studies, says the truth is somewhere in between. 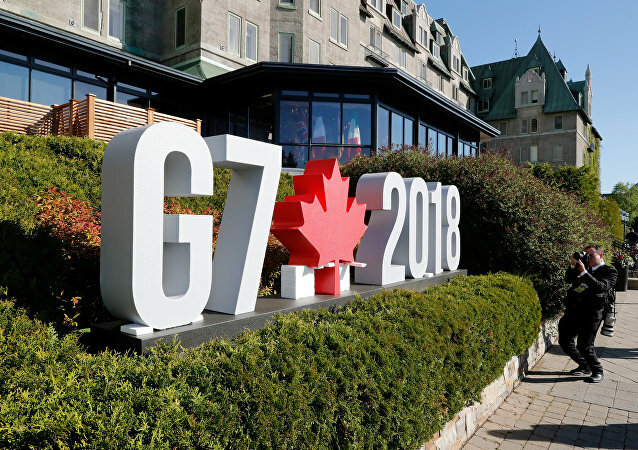 US President Donald Trump's idea to invite Russia to rejoin the Group of Seven (G7) to once again form the G8 is unlikely to immediately reverse the long-time anti-Moscow stance taken by some Western countries. President Trump traded barbs with Canadian PM Justin Trudeau and the European Union ahead of the G7 summit. 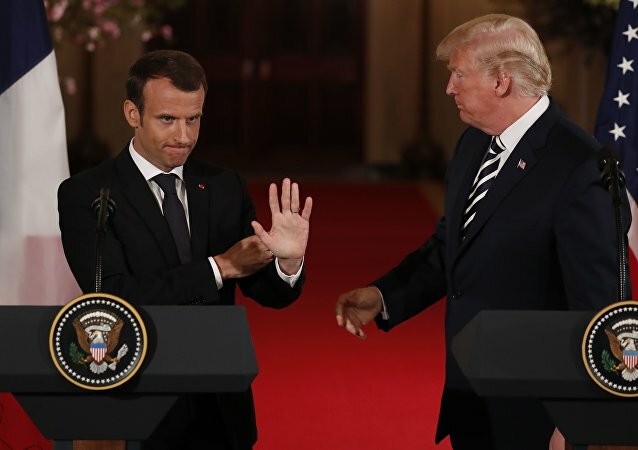 Trump has accused the allies of slapping “massive tariffs” on US goods as French President Macron publicly questions whether Trump cares about “being isolated,” even alluding to a possible "G6" without the United States. 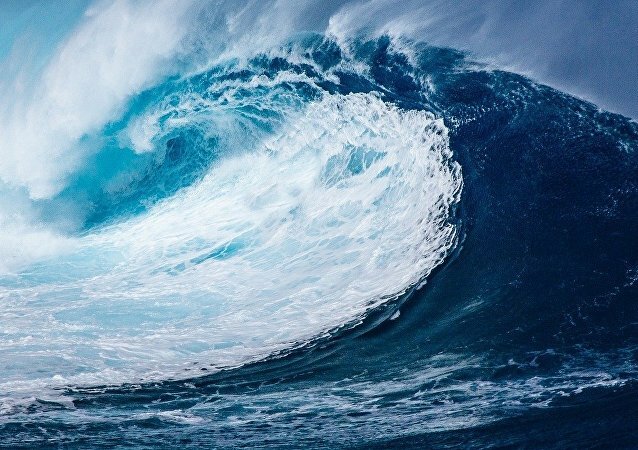 June 8th marks the annual celebration of World Oceans Day. The theme for 2018 is aimed at preventing plastic pollution and encouraging solutions to a healthy ocean. According to reports, the theme was prompted by the eight million tons of plastic that end up in the oceans each year. 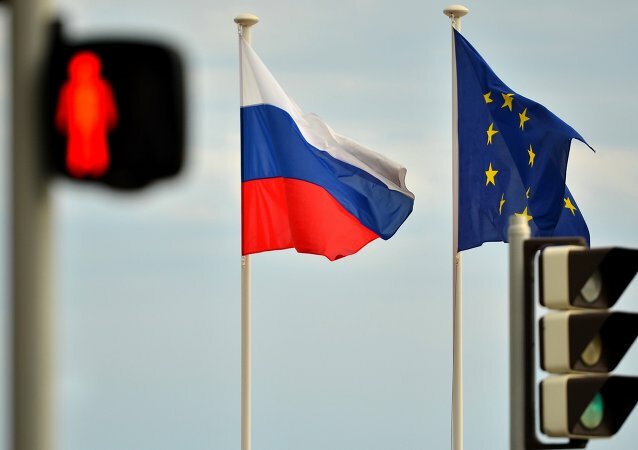 Premier Conte’s speech on abolishing anti-Russian sanctions has triggered an immediate reaction from the EU and NATO. According to Stoltenberg, the Atlantic Alliance secretary, "we must maintain political dialogue with Russia, but the economic sanctions are important." WASHINGTON (Sputnik) - The arrest and imprisonment of RIA Novosti Ukraine news portal chief Kirill Vyshinsky reveal the suppression of democratic values including freedom of the press by the Kiev regime in the name of extreme nationalism, analysts told Sputnik. Europe and Russia can start cooperation by addressing common security challenges, in particular, by creating a joint structure of counterterrorism organizations to address the global threat of extremism, Gerold Otten, a member of the German Bundestag's defense committee from the Alternative for Germany party (AfD), told Sputnik on Friday. Turkish Foreign Minister Mevlut Cavusoglu met with US Secretary of State Mike Pompeo this week to try and ease tensions between the two NATO allies, but Aydin Sezer, a journalist and political scientist, told Sputnik that the real results of these talks will only be clear after the June 24 presidential and parliamentary elections in Turkey. WASHINGTON (Sputnik) - The US-EU-Canadian battle over trade tariffs instigated by President Donald Trump is hanging over the G7 Summit like a specter and may accelerate the collapse of the transatlantic alliance, analysts told Sputnik. WASHINGTON (Sputnik) - The Group of Seven (G7) is an obsolete gathering that should be replaced by a more relevant organization that includes economic powerhouses like Russia as US President Donald Trump suggested, analysts told Sputnik. WASHINGTON (Sputnik) - The United States lacks the international standing to expand the G7 to include Russia which, if added, would oppose most of President Donald Trump’s divisive policies anyway, former US ambassador and Assistant Secretary of State for International Security Affairs, Chas Freeman, told Sputnik. In the wake of an employee protest at Google opposing the company’s cooperation with the US Defense Department on artificially intelligent weaponry, Google issued new policies pledging to avoid the practice. But Google’s exit doesn’t come close to spelling doom for the future of AI weapons, tech reporter Paul Wallis tells Radio Sputnik. The recent indictment of former head of security for the Senate Intelligence Committee James Wolfe for allegedly lying to the FBI seems more than just a little suspicious, Jim Jatras, a former senior foreign policy adviser to the US Senate Republican leadership, told Sputnik.